This past weekend daylight savings began and temps have been in the 60’s to low 70’s…I can say that winter is finally fizzling out! I am continuing to make more creations for the store and for an upcoming craft show in May. 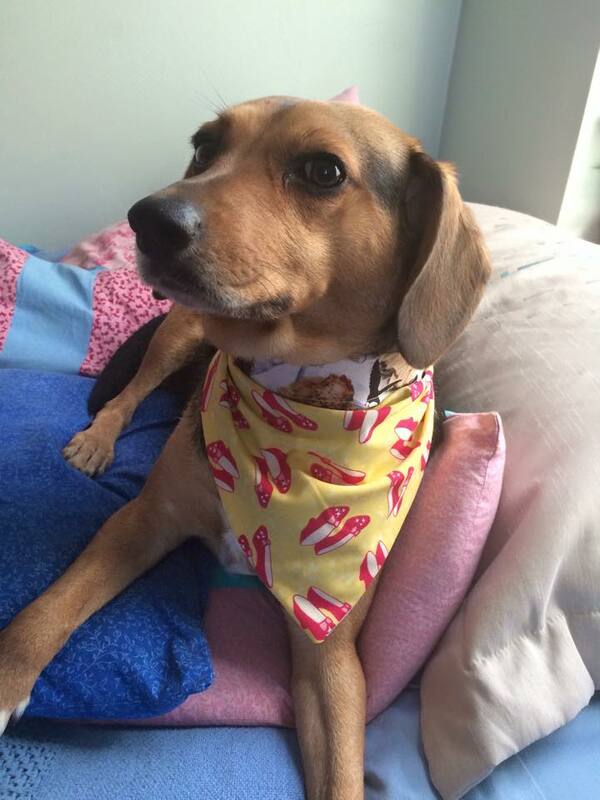 A couple weeks ago I have made several reversible scarves for dogs that are currently selling at “3 Little Black Birds.” In case you haven’t noticed already that I am an animal lover and an owner to one beagle/weiner mix. 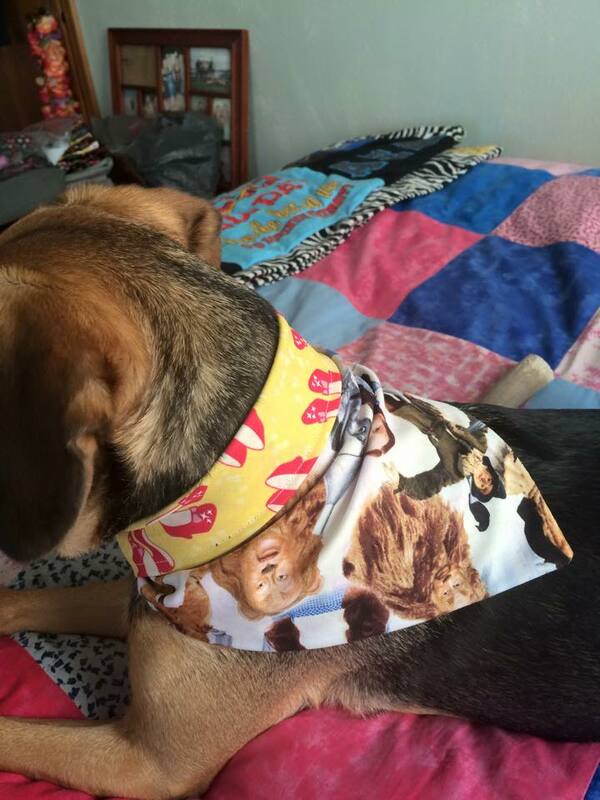 I love dolling her up in pretty scarves, and I love making dog scarves for other people’s dogs. 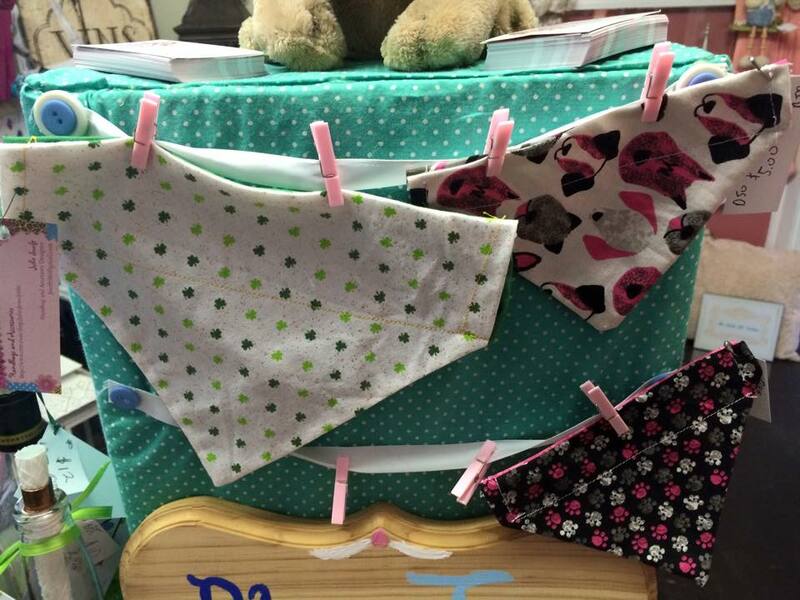 I make the doggie scarves in all sizes, colors, and patterns. I am also beginning to make springtime bags. 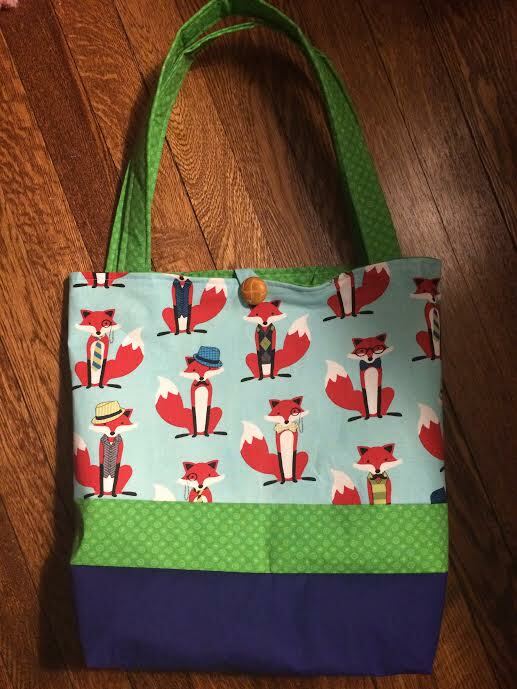 I have noticed foxes are a trend right now, therefore I made a large fabulous tote bag with a fox pattern. This bag is perfect for school books or as a beach bag! 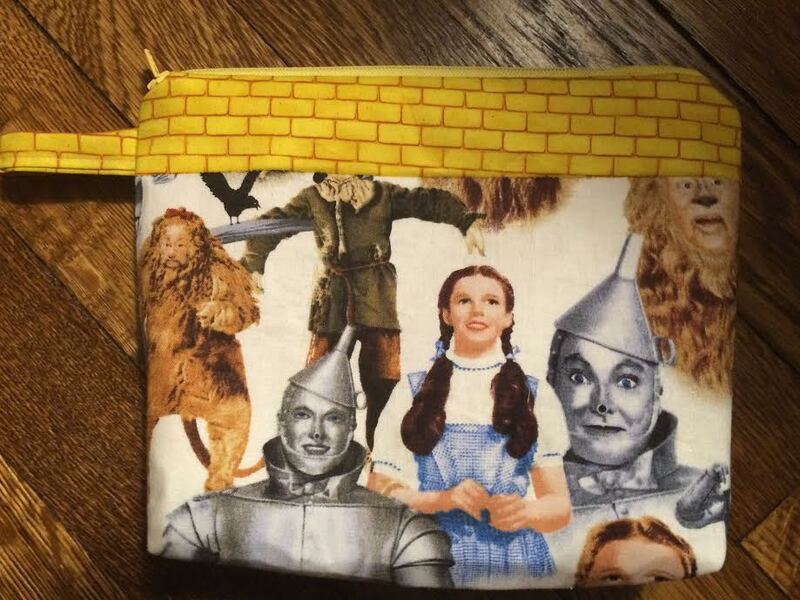 I am also continuing making new zippered pouches that I plan on selling at upcoming craft shows. 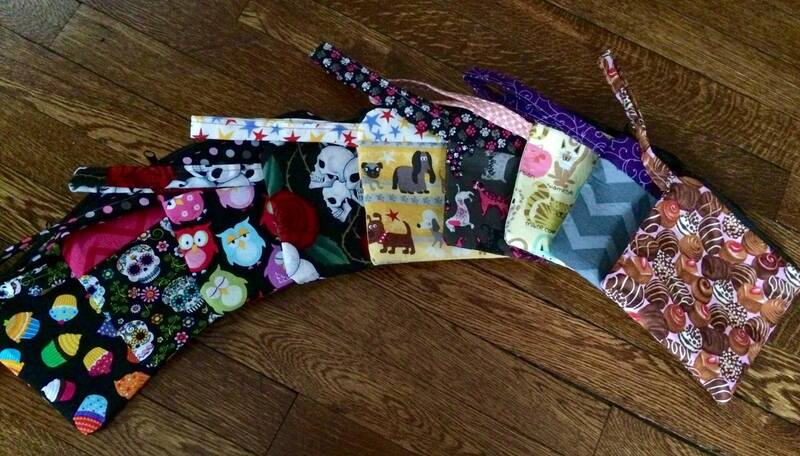 These will be perfect as wallets or even make-up bags! The next few weeks I will be making more spring/summer bags and many other accessories. 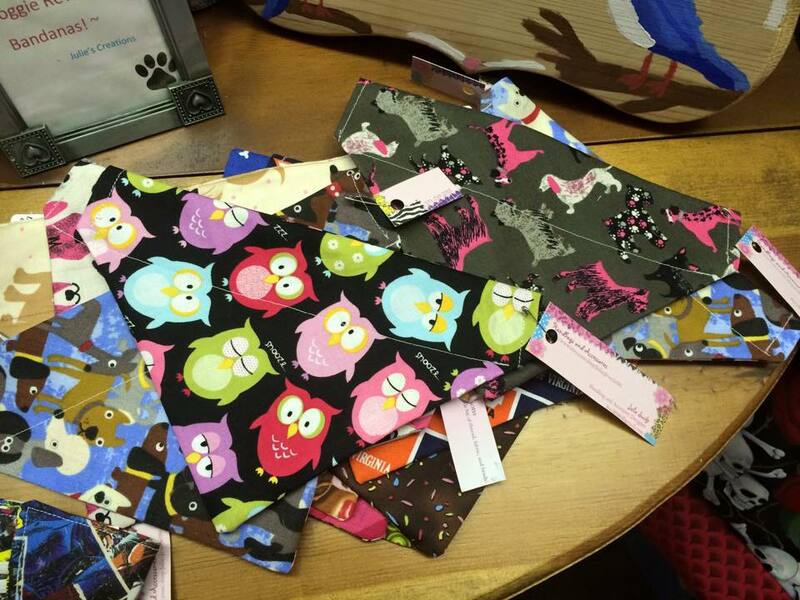 The Blu Js’ have also been busy preparing for the craft show in May. Details coming soon!